Latest Developments are that the Trust Bank board have approved a Loan to the Village Light Committee of Sitanunku for 100,000GMD to enable them to purchase a Solar Water Pump. This Loan reimbursable in Three years with a minimal interest will be given on the basis of a guarantee provided by the Villagers by PLEDGING their ZonLights as Collateral to the Bank as well as undertaking to BANK their Village Light Fund with Trust Bank at their Barra Branch. 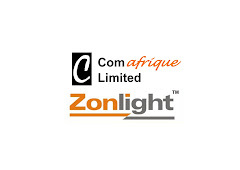 Letters of Comfort are being provided by Mr Marcel Hendricks, the benevolent sponsor of the ZonLights as well as by ComAfrique Limited. The Implementation of the Lights will be done next Week. Follow this Blog to see how you can Sponsor a Village too.